The Wandering Hearts have been making big waves since they were thrown into the spotlight a couple of years ago. Fast forward quite literally months and the country-folk-Americana quartet are one of the biggest acts to break through and conquer the UK scene with their fresh take on the genre. 2018 has already been a pretty good one for the foursome, who have been busy adding to an impressive list of achievements. Thus far, they were hand-picked by broadcasting royalty Bob Harris OBE as his winner of the Emerging Artist Award at the UK Americana Awards, spent weeks at the top of the official Country Artist Album chart, and rode the wave of their eagerly-awaited and well-received debut, ‘Wild Silence’ with a sold-out UK tour. Last summer, the London-based act shared the bill with the late Tom Petty and Stevie Nicks at BST Hyde Park, and have been personally invited to Nashville this summer to play with country music legend Marty Stuart after opening for him on his UK tour in October – a killer CV for a band who came together so recently. Their story is one you couldn’t make up. Consisting of AJ Dean-Revington, Chess Whiffin, Tara Wilcox and Tim Prottey-Jones, the band were discovered during their second ever rehearsal together at Tim’s flat in North London, when they uploaded a recording to SoundCloud, and in less than half-hour had a manager. Soon after, they were signed to Decca Records after playing for the president of the label in her office. Singles Wish I Could, Devil and their debut EP ‘Burning Bridges’ were released last year, ahead of this year’s debut album. 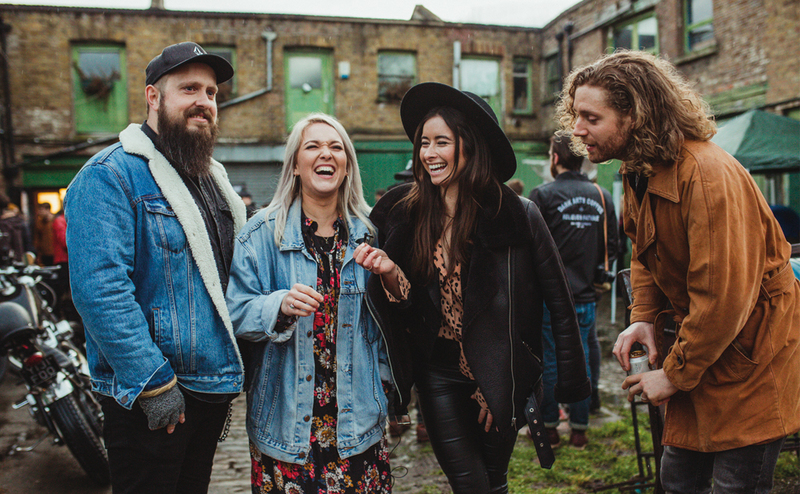 Just as The Shires and fellow Black Deer artists Ward Thomas have previously, The Wandering Hearts are at the vanguard of the British movement, leading the charge of cool, emerging UK Americana and country artists, with their added blend of folk and roots. After a trip to Nashville in early June to perform with Marty Stuart at the iconic Ryman and Grand Ole Opry, plus a show in Memphis at Graceland, The Wandering Hearts will be back in the UK for the summer festival circuit, and will grace the Black Deer stage with their mesmerising vocal harmonies on 22 June. ‘Wish I Could, ‘Rattle’ and ‘Laid into the Ground’ have been on constant repeat at BD HQ and we can’t wait to come together again in the deer park.